A personal injury accident will cause a variety of painful and life altering injuries. You will now not be able to work or perform basic daily functions, like driving a vehicle, physical exertion or perhaps cleansing your home. If you have got been injured in an exceedingly personal injury accident in Encino, you will be entitled to financial compensation if you will prove your accident was a result of another person or company’s negligent or reckless actions. As a best Encino personal injury lawyer, we are able to assist you file an accident or injury claims, and discuss for a settlement to cover the costs of your pain and suffering, medical expenses, treatment prices, psychological trauma, lost wages, and financial hardship. For more than ten years of committed service to the people of Los Angeles County, Rabban Office Lawyers has been involved in various case settlements and litigations. Our Encino attorneys practice group always endeavors to give honest and pragmatic counseling to our clients before litigation occurs, once a lawsuit is filed, throughout the course of litigation, and until such civil litigation is disposed by judgment, and settlement or otherwise. 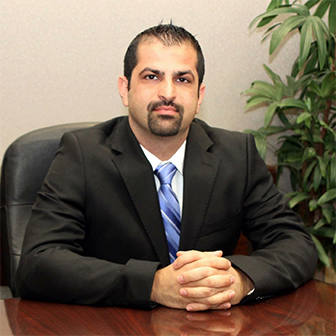 At Rabban law Office in the San fernando Valley our lawyers focus our practice exclusively on criminal defense. Our Encino lawyers have a long history of successful cases and always seek the best interests of our clients. Our Encino Lawyers can help determining your rights to compensation if you or your loved ones are the victim of a car accident.Our Lawyers will also work with the insurance companies,leading doctors and medical professionals to make certain that you are in good hands. We are best Personal Injury Law Firm in Encino. At the Rabban Law Firm we only represent people. We do not work for insurance companies or corporations. Personal injury cases are all we do. Choosing a experienced personal injury attorneys can be one of the most far-reaching choices you make for your future well being. We have witnessed first hand the long-term effects of catastrophic injuries, not only on the injured person’s life, but to their families. Not all attorneys have this perspective. That’s one of the reasons we are dedicated to fighting for fair and just compensation for all of our injured clients.